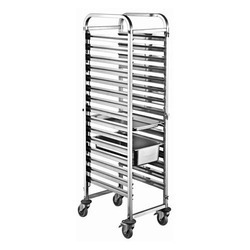 Stainless Steel Trolley for GN Pan offeredcan be made available in different size and finish construction choices and find use in commercial kitchens. 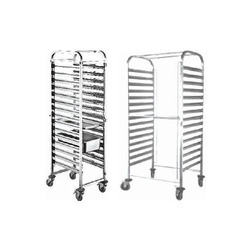 Featuring smooth and durable castor wheel support, these trolleys provide for smooth movement and usage value. Some of its features include available in quality construction finish, excellent finish support that add on to the durability of product, superior textured and attractive patterned looks.